Waymo on Friday dropped some of its patent claims against Uber in its landmark lawsuit. The self-driving car startup, which is a Google spinoff, is dropping three of its four patent claims against Uber’s lidar technology. Lidar, a kind of radar technology that uses lasers instead of radio waves, is the key component in self-driving cars that allows the vehicles to “see” the world around them. Waymo is continuing to pursue its other lidar-related claim. The company has charged that the lidar system Uber is currently working on, codenamed “Fuji,” infringes that patent. The self-driving car company dropped the three patent claims to narrow the focus of its lawsuit, Waymo said in a statement. In addition to the patent claims, Waymo is also suing Uber over alleged trade secret violations and unfair competition. 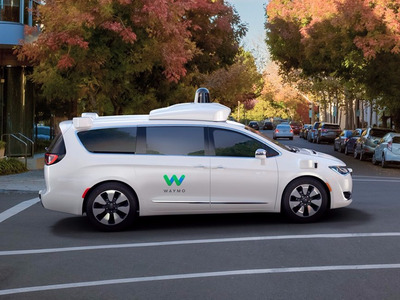 In its lawsuit, Waymo’s charged that a former Google self-driving car executive, Anthony Levandowski, took proprietary lidar information with him when he left Google and created his own self-driving trucking startup called Otto. Uber acquired Otto and put Levandowski in charge of its autonomous car division. Waymo accuses Uber of using Waymo’s technology in its self-driving cars. Uber fired Levandowski in May after Levandowski declined to help the ride-hailing giant with its defence against Waymo’s claims. Instead, Levandowski invoked his Fifth Amendment rights to avoid self-incrimination.